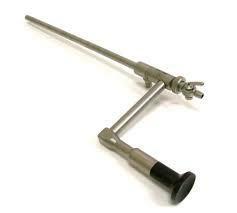 We are one of the prominent trader of a wide range of high quality Cystoscope and Resectoscopy. 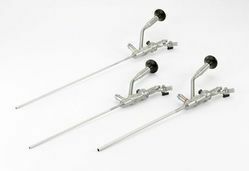 Our range includes Urethro-Cystoscopy Set, Uretherotomy Set and Electro-Hysteroscopy Set. These are sourced from reliable vendors and are also as per the defined industry standards. Due to its features like high quality, easy operation and longer service life, these are appreciated by our clients. Working Diameter Distal 6.0 / 7.5 Fr. Working Channel Diameter 1 x 4 Fr. or 2 x 2.4 Fr. / 1 x 5 Fr. or 2 x 3 Fr. 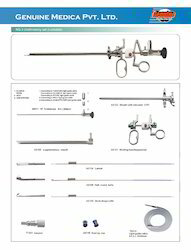 Looking for Cystoscope and Resectoscope Set ?